Hello! I tried out a new technique, well 2 or 3 new techniques actually, to create this card! First, I'd been itching to try some ink blending and I really wanted to try it on this woodgrain card stock (Simon Says Stamp used to carry it but I haven't been able to find it anymore.) After I created the blending to my liking - I dropped some water on it from my hands. 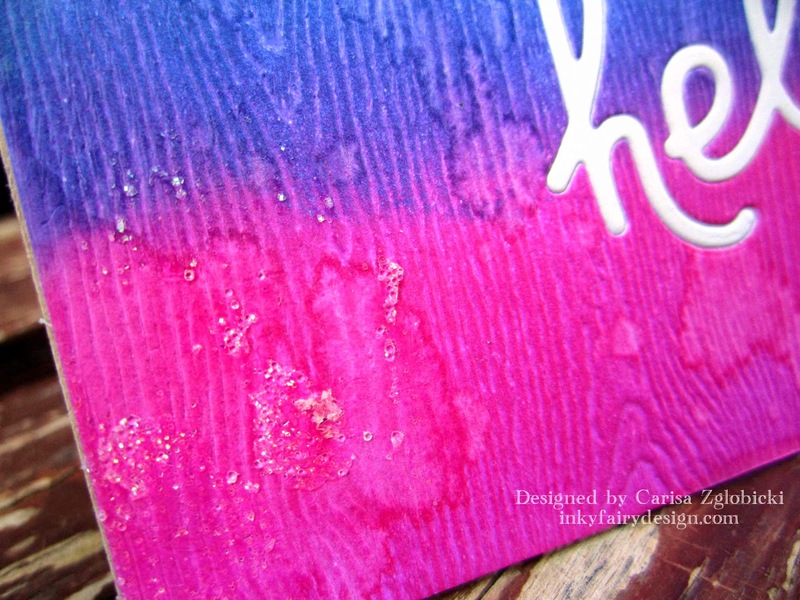 The distress inks react to water and created the lighter areas on the card stock. LOVED this! Next, I wanted to keep this card simple because I loved the background ink blending so much. So, after MUCH digging through my crafts, I finally found the perfect die that I wanted to use - the Hello Words by Paper Smooches Stamps. 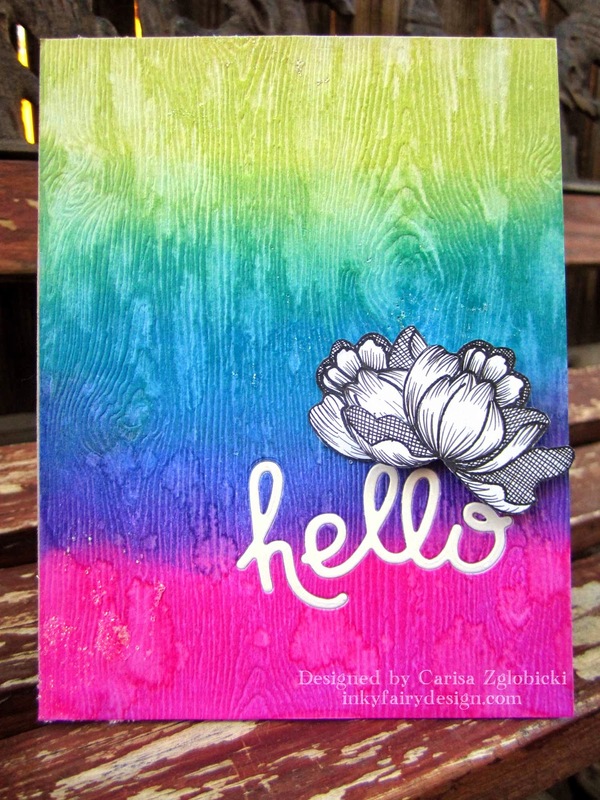 I die cut it in my inked cardstock first, then die cut it again in white cryogen cardstock (for some subtle shimmer). Then I inset the white card stock words into the area I cut out. LOVE this! 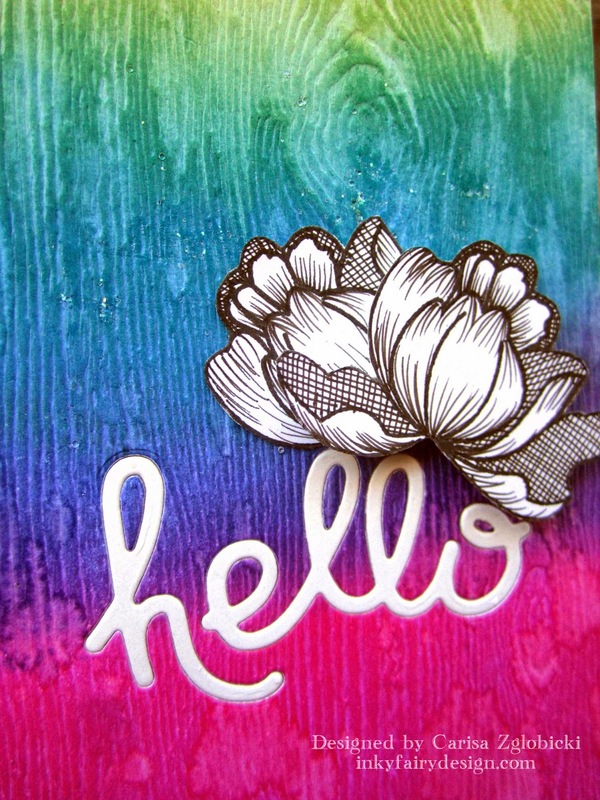 Finally, I wanted to play along with this Stamp Etching challenge at Splitcoast Stampers. After I viewed the tutorial, I was fascinated and knew I had to try it. This stamp set by the Sweet Stamp Shop is perfect for this technique. I stamped it a few times and practiced, then because some of the petals are inside and if I were coloring it, I would color those darker, I decided to cross hatch my etching on those parts and once I did that it was perfection! I am SO in love with this technique - it really adds an elegant touch to your card and with my bright background, I think it pops in black and white! Thanks for the new technique idea, Splitcoast Stampers! An additional part of the challenge was to add sparkle on your card. I had just picked up some Glass Bead Glitter Gel by Faber-Castell Design Memory Craft so I spread some on here and there randomly. It dries completely clear with only the glitter left behind...AND it doesn't rub off which is mighty important to me! I can't stand glitter that rubs off here, there and everywhere. Haha! That was the final touch and if I do say so myself, I'm absolutely in love with this card. 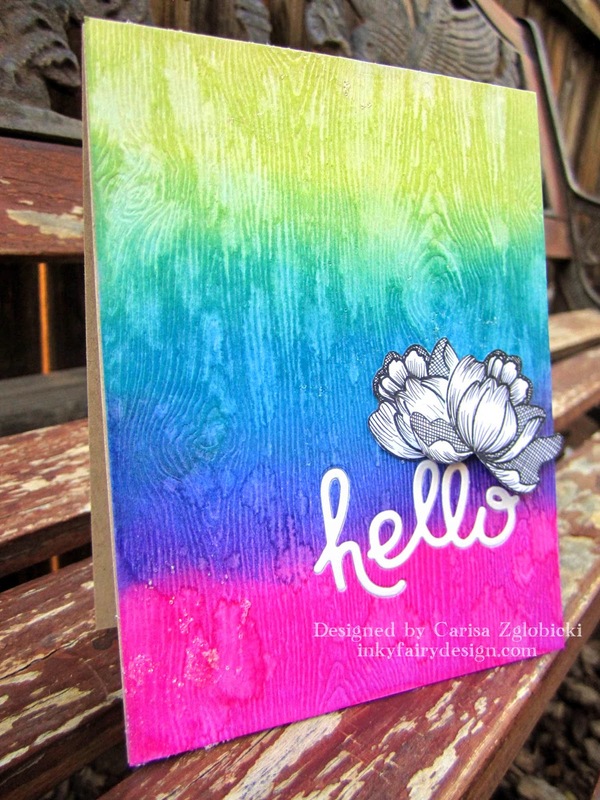 I will probably experiment with blending different colors to recreate this card a few times so I have some on hand when I need them. It was a super easy card to put together. I hope you enjoyed my card today, thanks for stopping by! beautiful lush background! such a pretty card! 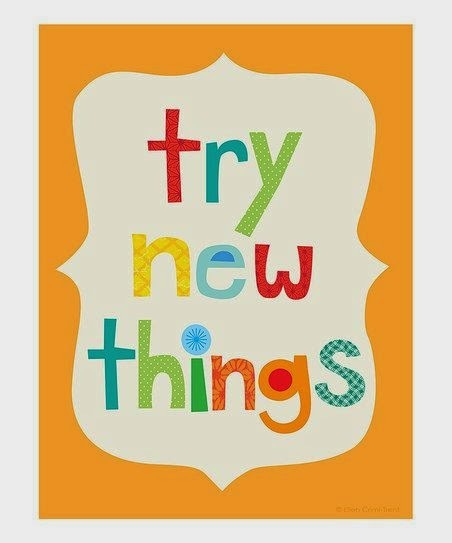 thanks so much for joining us this week at Paper Smooches SPARKS Challenges!